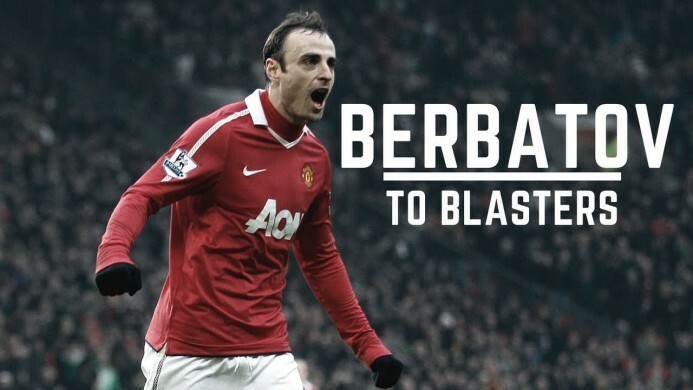 Indian Super League (ISL) side Kerala Blasters has secured the services of former Manchester United striker Dimitar Berbatov. The Bulgarian veteran is expected to be in India shortly and will reunite with his former teammate Wes Brown and coach Rene Meulensteen at Blasters. "Golden touch turns like a dream & a deadly finish. The Bulgarian Hitman is set to take ISL by storm," read the Kerala Blasters' official statement confirming the signature of the Bulgarian striker earlier today. The 36-year-old has been a free agent since leaving Greek side PAOK last summer. However, Blasters might have handed him another chance to show his worth to the world in this year’s ISL. Berbatov’s signature is said to have cost the Kerala franchise a whooping ₹7.5 crore for his services in this year’s ISL. 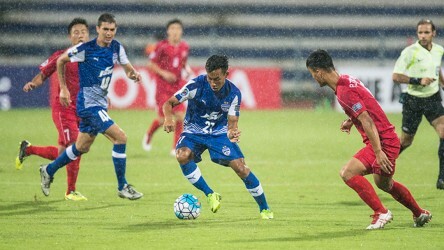 With an expensive price tag on his back, the striker will be expected to provide the Blasters with the much-needed goals they lacked in the first half of last season. Emil Danchev, the agent for the Bulgarian maestro also revealed his client’s signature for the Blasters in Bulgaria saying, "I can today say Dimitar Berbatov is a player of Kerala Blasters, a club that has finished in second place in two ISL seasons. Apparently, their bosses want to change things. “The club really wanted to sign Dimitar. He'll be properly welcomed to India," he further added. Berbatov, once a crowd favourite at Old Trafford spent four seasons with the Manchester side, before signing for Premier League outfit Fulham. During his time working under arguably the greatest manager in the English Premier League Sir Alex Ferguson, he scored 48 goals and was an integral part of winning two Premier Leagues, two FA Cups and a League Cup. He also won the Premier League Golden Boot in the 2010-11 season, scoring 20 goals in the league. The forward is also the highest ever scorer for his country Bulgaria with 48 goals in 78 caps. Blasters, who have appointed former United coach Rene Meulensteen has spent smartly in the ISL draft and secured some of the best players in the country right now. However, with the inclusion of the likes of Berbatov, it might just be safe to say it is their league to lose if the Bulgarian clicks. Meulensteen had previously worked with the former United striker when he was in charge of the Cottagers, an experience that will help the Dutch coach get the best out of his new signing this season.